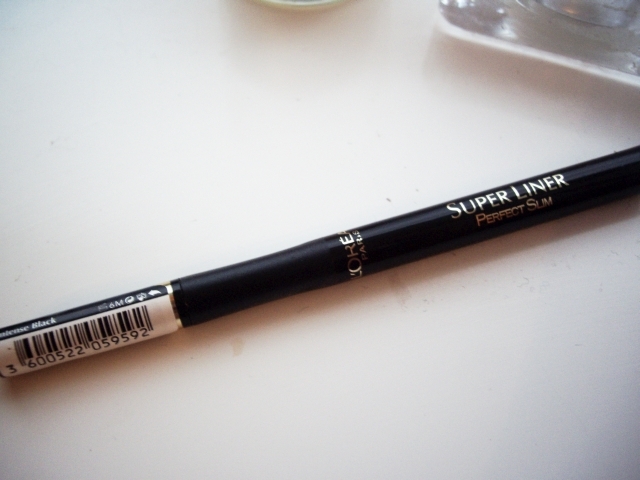 After trying Loreal’s Superliner Black Lacquer a few months ago with the soft tip (which I was disappointed with), I soon went back and bought Loreal Superliner Perfect Slim in Intense Black. It was exactly what I was looking for in the first place; a 0.4mm felt tip nib, which gives a really easy application to draw on a precise black line. Anyone who struggles with liquid eyeliner needs to give this a try, because it’s nearly impossible to go wrong. I’ve had this one for a couple of months now, and it’s only just starting to dry out. Considering I use this every day, I don’t think that’s too bad. And, comparing it to the Black Lacquer, it’s lasted much longer, as that dried out really quickly. It’s very black – which might seem like a silly thing to say, but a lot of liquid eyeliners fail to give you a perfectly dark black, with more of a faded one. I only find myself reapplying this once a day to intensify the colour, not to touch up the line, as it doesn’t budge off my eyelid. 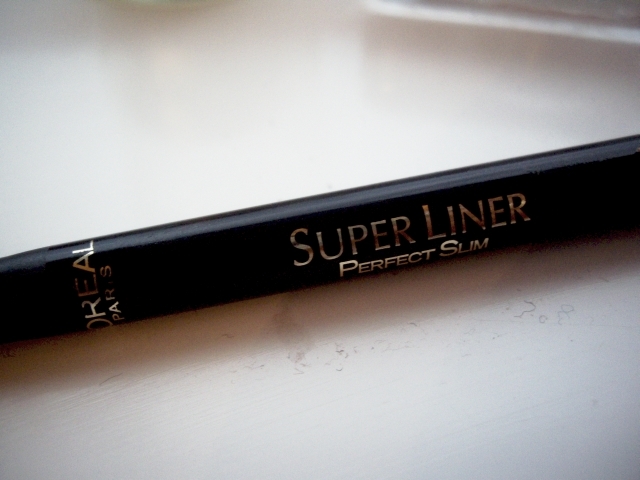 I definitely recommend this liner, and at only £7 I’ll buy it again and again. My go-to look is winged eyeliner, as after years of practice it always works for me. And if it ever doesn’t, it’s simple to wipe off with a cotton bud and makeup remover. My tip is to use these two things if you want a really slick line, as you can adjust the line to however you want with the nib of the cotton bud. Next Post Stuff I Like #2. That looks like one gorgeous liner! Love the cat eye you did too!